New active area will be rotating into view over the next few days. High cloud running through today. Great image, Gary. 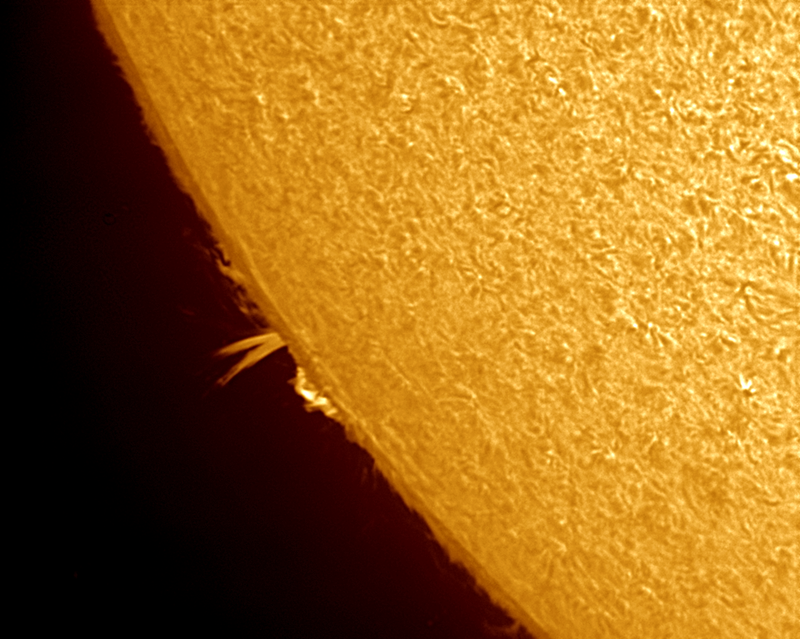 Nice to see some activity on the Sun!! I was looking to see if you had any more images on the BAA Members' Pages, but couldn't find them - it would be great of you could start your own members page. Thanks Jeremy. I will look in to this over the weekend. It has been a bit quiet on solar over the last 6 months with the weather.